Posted on August 10, 2011 August 10, 2011 by ashleyjillian	Posted in ComedyTagged awkward, giggle, humor, laugh, lol, lollersoncooper, snicker, teehee, troll, wtf? my friend looked it up on youtube, and it is even more creepy out of the box. No. Make it stop. It sees directly into my soul! These should absolutely be the dolls they use in high school’s when they’re trying to teach kids to keep it in their pants – or, uh – how hard it is to be a parent. 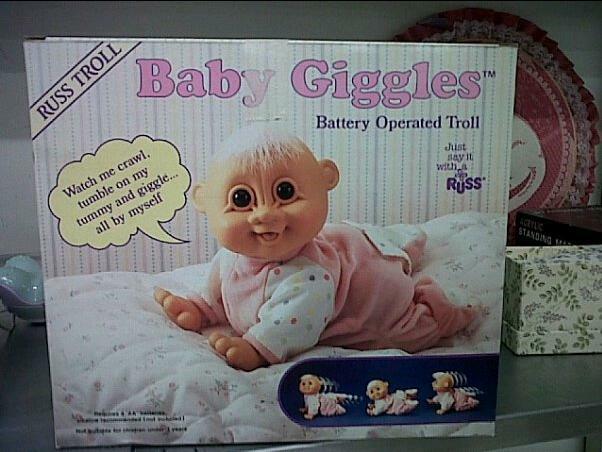 Double A batteries and the screams of children not included.